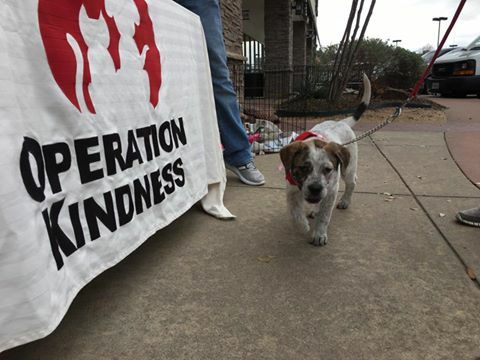 We recently had the pleasure to assist Operation Kindness at their pet adoption event held at the ORVIS store location in Plano, TX. There were 12 dogs ready to be adopted, and we're happy to report, each dog found their forever home. We're honored to be associated with such an amazing organization and awesome company! This little girl almost came home with us, but was adopted by some great pet parents - congrats! Here's the lucky parents receiving their free TIKR and Snack 3-Pack! TIKR and our Snack 3-Pack sitting on the ORVIS entrance table! Thanks gang!